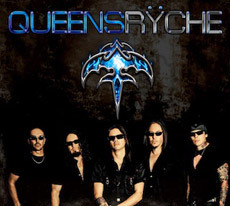 "We're rebuilding the brand of Queensryche"
There’s been so much taking about the split of Queensryche and everything that took place that I don’t think there’s any use of analyzing anymore all the aspects of this turn of events. 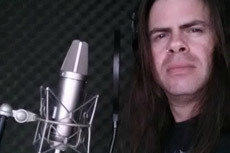 Instead, as Michael Wilton says, maybe it’s better to see what have today and focus on the future, as the Todd La Torre fronted version of Queensryche are about to release an album that seems to exceed the expectations. 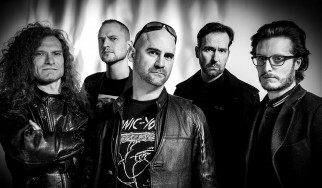 Wilton was cool and confident about the new beginning of the band, while he talked about how the new lineup was formed, the music of the new album and the potential of the open road that lies ahead. Hi Michael. Firstly, I have to say that it’s a great pleasure to be able to talk to you as the music of Queensryche will always be special to me and a benchmark for anything else. You are gratefully welcome. I’m glad you have open ears and love the music of Queensryche. How are you this period? Has the dust from everything that took place in your lives over the last months settled down or does it still feel like in the middle of the whirlwind? 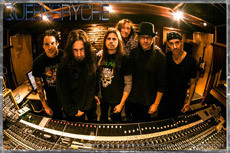 Well, of course, that side of the equation, the business side, yes it’s been a baptism through hell, but we are taking now a positive feel of everything and forging on and rebuilding the brand of Queensryche. So, regardless any negativities, it’s all good. 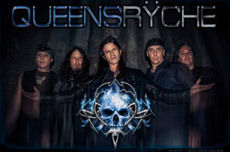 Could you sum up how things evolved and lead to “Queensryche”? 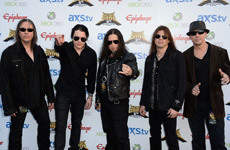 From finding Todd La Torre and forming Rising West to making a new Queensryche album with him and marking a new era in the history of the band. Well, I met Todd last year in February at the NAMM convention in Anaheim, California. We met at a Seymour Duncan party and fell into each other and started a conversation and found we had mutual interest in styles of music. I told him do some media based music on the side and asked if he would be interesting in contributing some vocals in media based music. He said 'of course', so we exchanged emails and I sent him a song, a demo version and I expect it would come back in 4 weeks, but something came back to me in like 3 days and I was very pleased. And then as things erupted - disgusting things, violence and mouth-offs happened to the band - we decided we wanted to do some shows on the side. Because, as you know, we’ve been in the business for years, we all have families and we need to keep the business rolling on that sense and we asked Todd if he knew any Queensryche songs. It turned out he was a big Queensryche fan, especially of the older albums of Queensryche and I introduced him to Scott, Eddie and Parker and it was a go. Basically, I think it was fate because we got the Rising West shows in June of 2012 without ever rehearsing with Todd. So, it was a gamble but when we came to rehearsals, which was 10 days before the Rising West show at the Hard Rock Café in Seattle, Washington, we blasted through 18 to 20 songs and everybody was amazed from the professionality, the musicianship and tone of Todd’s voice. So, as we say in America it was a 'slam dunk'. We did a few shows and they were over so well and on the internet it went viral. All the merchandise was sold out, every ounce of beer in that place was gone and the rumbling was done in Southern California. A person from a very prominent management team, who had come to see the second show, basically introduced himself to us and after the show he was very impressed. 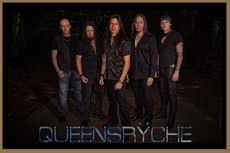 We had no idea this was going to happen, but all of a sudden the fans started calling us Queensryche. 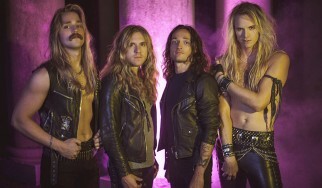 The new Queensryche. This is what we’ve been waiting for so long. Subsequently, the man who is now our manager called the company down at Los Angeles and said 'I have something very hot here and we should grab these guys before someone else does'. So, we basically rebuilt the system and then it was just a creative land that everybody’s strength came in to write for the record. 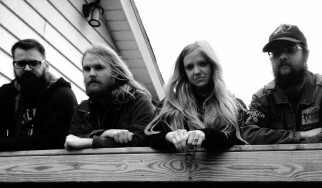 We had at least 3 or 4 record labels that we were negotiating for our new album and our manager chose Century Media. So, we had the motivation and the next step was to work with Jim Barton, his nickname is Jimbo as we had a great career together with recording “Operation Mindcrime”, “Empire” and “Promised Land”. So, it seemed like a real logical fit to bring him in the fold. We invited him to see the live show in Los Angeles, at the House Of Blues, in Hollywood and he was blown away. He came up to Seattle and we got it going. We probably had maybe 15 ideas and a limited them a little bit down to 9 or 10 and I have to tell you it was very easy and effortless. What everybody was looking for, and especially me, was to write as a band. To keep the communication over on everything. And for me it was so exciting to see everybody’s creative strength inputting to songs and making this album so enjoyable and fun. As I said before, the song that I emailed to Todd in the beginning is actually on the record and called “Don’t Look Back” and that’s basically what started everything. I think this is a really good album I have to say. Possibly, the best one with the Queensryche name after “Promised Land”. The first thing someone mentions is that this is a full metal album and with the exception of “O:M II” this is going back to “Empire” and even earlier to your career, sound wise. With more than 20 years of playing other things, was it that you always wanted to be metal oriented and now you returned to its more traditional sound? I think metal has been a big a part of our influences, but not just saying that this is a metal album. We dabble in progressive music, we love progressive music. We’re looking at each composition as a song, rather than just an exercise of playing really fast or doing ten thousand double pickings. Like I said, it’s a combination of everybody’s energy and ability, which is like a model clay on a table and everybody put their impressions on it and I think when people hear this, they will hear elements of metal, they will hear elements of progressive and they’re going to hear everybody playing like they used to. They’re gonna hear Scott Rockenfield playing drums the way he used to, they will hear Eddie Jackson on the bass with his big, big sound again. Jimbo knew how to do that and he told us “look guys, let’s just start where we left off, back in 1995”. All along, to me it’s really a group of songs that are very honest. They’re all written by the band. There are no outside writers, there’s no one dictating which songs are going to be used and it’s a very collaborative, creative effort. I think someone who likes heavy metal will like it and I think that someone who likes hard rock will like it. It’s a beginning for something really great for us. I understand that you really want to emphasize on the collective work that took place for this album, right? Yeah, I think that’s the strength of this album. It’s not written by outsiders. I have no doubt this was not the case in the previous albums, but one think I keep wondering about is why you didn’t react in the way it was over the years, if you didn’t agree with that? Well, it’s complicated. It’s basically poor communication. Not knowing what’s happening and in the 11th hour having to sign something or to do something or to agree to something and you have everybody just depending on the situation. A lot of that. Your hands are tied. It’s like 'No, I don’t agree with this business that’s taken', but nobody else is on your side. You kind of go with the majority. Majority votes kind of rule everything. And the last 3 years, basically it just came to a point that we didn’t have a voice in the band anymore. It was all run by the singer and his manager, the wife. Now, it’s pressure situations that people are counting on revenues, people are counting on an agreement. It’s lots of little things. It’s lack of communication and people’s ideas going in the wrong way. And we’re team players, we’re professionals. It’s a proven asset. We wanted to make it work. We wanted it, but every time it ended up the same. It’s hard for anybody to understand it, unless they’re one of us. It’s just a reaching point of a downward spiral. It’s time to rebuild the machine. That’s my point whenever it comes to this conversation. No one knows from such a distance what’s going on inside a family. So, that’s why I don’t want to make statements as if I knew everything. Yeah, that’s respectful and that’s very smart as a journalist. You should always keep that point of view. 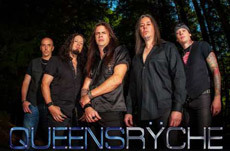 Ok, but I have to say that I consider myself more as I fan rather than a journalist when it comes to Queensryche. Now, my second thing I mentioned is the similarity in the way Todd sounds with Geoff Tate. You forget what you’ve been listening for a moment and you can swear that it was Geoff Tate singing. Was it your purpose to achieve something like that? Obviously, Todd has his own voice and we wanted to show the similarities. Ιn his respect playing the older music he has the delicate nuance of the old Geoff Tate. On this album, surely, he’s going to have similarities, but I think we’re trying to inject his own way, his tone, his way of phrasing and all that. You know, how we portrait his voice. So, it’s kind of a blend I think. The third thing I wanted to ask was about the length of the album. You mentioned you initially had 15-16 tracks, although 9 of them made it to the album. So, it clocks only 35 minutes long, which seems kind of short, especially for a band like Queensryche. Did this thing concern you at all? Well, you know it’s been a very hectic situation and trying to find time to record this album we had windows of opportunities. It’s not like we had six months that we were all together. We had to do the drums in 10 days and then go touring and then come back to do the guitars and the bass in 10 days. 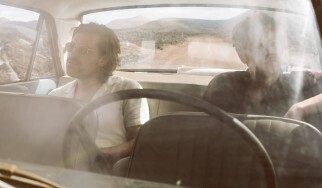 And, then, it was back and forth of touring after recording. To be honest this is in the time frame that Century Media needed the record and this is what we got done. It is what it is. You know, to us it was a body of work. 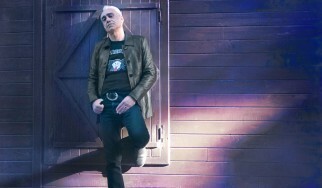 It wasn’t until we got the masters sessions that we realized 'Wow, this is like an old Van Halen record'... (laughs). But, it was due to circumstances. If we had more time... But, there were deadlines and this was a unique situation. To tell you the truth, we were at one point considering just doing 5 songs and doing an EP. But, basically, Century Media said it would be better if we could do an album. We just barely made the deadline we had, so as to have the CD out by June. If you released a 5 song EP it would be a total déjà-vu with the past, right? (laughs) Yeah, you know, these are busy times and we learned some things. Everybody realizes we have to tour a lot. And for the next album we already have a lot of great ideas, everybody does. Again, we don’t want to have an album with filler songs. We want every song to be quality. I’d rather have a 35 minute badass album, than a 50 minute long with a bunch of epic songs that really shouldn’t have been on the CD. You get what I mean? Yeah, of course I get it and I agree with you. Now, the lyrics have always been quite important for Queensryche. I pointed out some lyrics about karma and how bad things get back to you or about open roads and where they lead to. Seems like stuff that someone can relate with things you’ve been through lately. What are the lyrics about? Give us an inner view. The lyrics are very self provoking, they are very honest. It’s Todd that reaches for different matters. Sometimes it’s very generalized, like in “Redemption”, it’s like about society, they‘ve taken away what we deserve and there can be the “Open Road” which is personal, about a relationship. Until you reach deep into the lyrics lot of it is very varied. It’s personal in a sense that we were going through a lot tense situations and they kind of reached into the lyrics a bit. But, you know, what’s great – and I know that all bands say this. It’s great to hear everybody’s interpretation of the song’s meaning and what some of it means to us. It’s very broad based I have to say. There’s something else that I really want to ask you. Do you keep contact with Chris DeGarmo? I know he’s withdrawn, but since this band is part of his legacy, did he ever comment on these things that have taken place? Also, has he listened to any of your new music? Chris and I have always been good friends. I mean, we grew up together, we were high school buddies and we’re still friends. I golf with him all the time. Our families are friends. And, yes, he’s aware of what’s going on. I’m not going to speak for him, but I can say that he supports everything that we’re doing and it’s great that Chris and I have a connection. You know, he’s got a lot of things in the fire that he wants to do and he’s a true connoisseur of great song writing. That’s basically all I can really tell you. Definitely, he’s around, we talk a lot, but I really can’t say anything. I understand it completely. Now I think it’s time to present the new version of Queensryche with Todd on stage, all around the world. Do you think of presenting anything special? 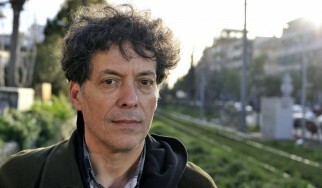 We’re waiting you in Greece, you know that. Well, we need to go to Greece, because Todd’s got a girlfriend there. That’s making it easier! I’m kidding! 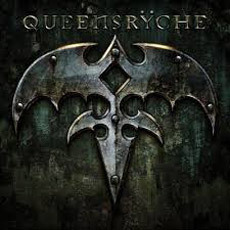 Well, another thing that I noticed is that you avoid to play songs from “Promised Land”, which happens to be my favorite Queensryche album, along with “Operation Mindcrime”. Why is that? It’s a simple question. There’s wasn’t a lot of time. We kind of played the songs that Todd already knew. And basically Todd knew for the EP to “Empire”. He didn’t have the other CDs so he never listened to them. So, it’s not to say that we won’t grab some other songs, maybe off “Promised Land”, because it has a few songs that I think would fit great in the set. But, we didn’t have time to dig in and he hasn’t had time as it’s a big task for Todd. 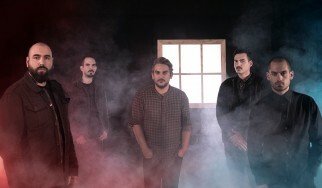 A lot of songs to inject and we’re already talking about the next record and you know we got to be realistic which are our objectives, which songs we want to play. But, yes, we got a lot of requests for a couple of tunes off of “Promised Land”, so it’s not out of the question. I would love to play “I Am I”. I would love to play some tunes off there. It’s not out of the question; we just have to do some homework. Yeah. I mean, I really don’t want to concentrate anymore on any of that. It is what it is. I’m not going to throw mud on the subject. I’m just going to stay true to the fans, to the music and to this entity that has a lot of people really supporting. So, I’m not very worried about that. Ok, I understand that. So, apart from touring and a few song that you already have in the band what else does the future holds for Queensryche right now? Thank you very much for your time, Michael. I thank you. Watch out for us. I’m sure we’ll be in Greece soon.